The 20th Annual General Meeting of the World Energy Cities Partnership (WECP), is taking place from October 25-28, 2015 in Rio De Janeiro. In addition to electing a new board executive, the event presents an opportunity for political leaders from the world’s energy cities to address the business opportunities and challenges of the global energy economy. “Today’s cities are facing complex challenges, from financing energy infrastructure to developing policies that promote innovation. The WECP annual meeting brings together a diverse, multi-stakeholder community to provide the means to address these challenges and to build partnerships that support positive, transformative change,” said Christine Sagen Helgø, WECP president and Mayor of Stavanger, Norway. This year’s WECP AGM will be hosted by Rio Negócios, the official investment promotion agency of Rio de Janeiro. Three themes; oil & gas industry development, urban transformation; and policies to support research and development, will dominate the agenda of this international conference. 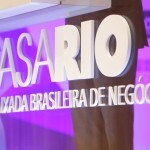 “The 20th WECP AGM, reinforces Rio de Janeiro’s position as an international marketplace. 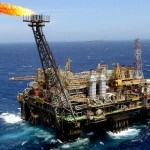 For Rio Negócios, this is an excellent opportunity to identify companies offering services and products compatible with the city’s vocation – offshore subsea – and with the potential to execute investment projects,” stated Marcelo Haddad, president of Rio Negócios. Headquartered in Houston (USA), the World Energy Cities Partnership (WECP) is the international hub for energy cities. Its objective is to support the growth of the energy economy. Currently, there are 23 world energy capitals that make up the WECP collaboration network. WECP membership allows cities to work within the organization to expand business opportunities, share ideas on investment attraction and urban development, and develop strategic alliances with other world energy cities.